When people travel, they bring their cell phones, laptops and tablets along for the journey. That often means cramming an assorted tangle of cords, plugs and ear buds into their luggage, brief cases and backpacks. Along with manufacturing safety kits, California-based SKITS produces what it calls the Geek Tech Case. 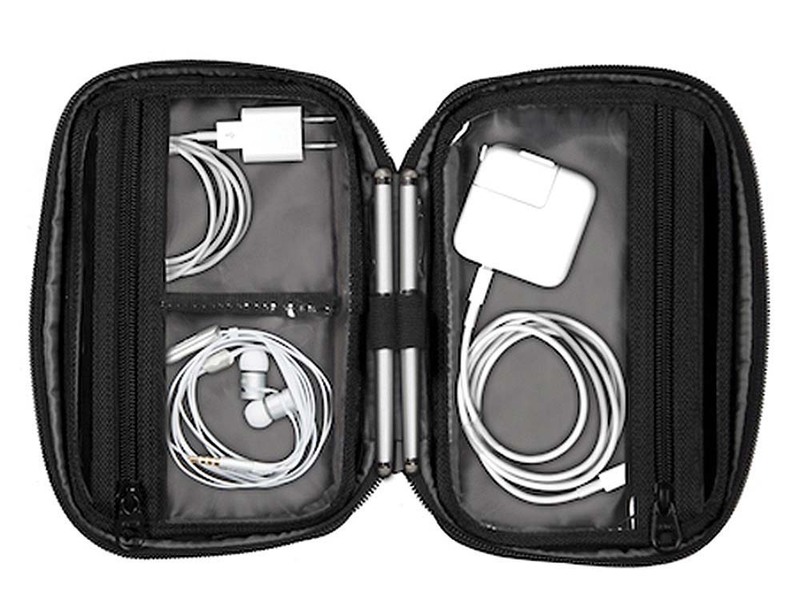 The zippered 11-inch soft-sided case isn’t much larger than a typical shaving kit, so you can store it in most vehicle glove boxes or floor consoles. The foldout unit opens to reveal six clear plastic pockets for stowing cords and knickknacks. The Geek Tech Case is also made using five layers of what SKITS calls water- and dirt-resistant material. Order the Geek Tech Case from $79 at www.skitsproducts.com.